I am Sharon and I am so pleased to bring you so much great stuff from NBK Design!!! 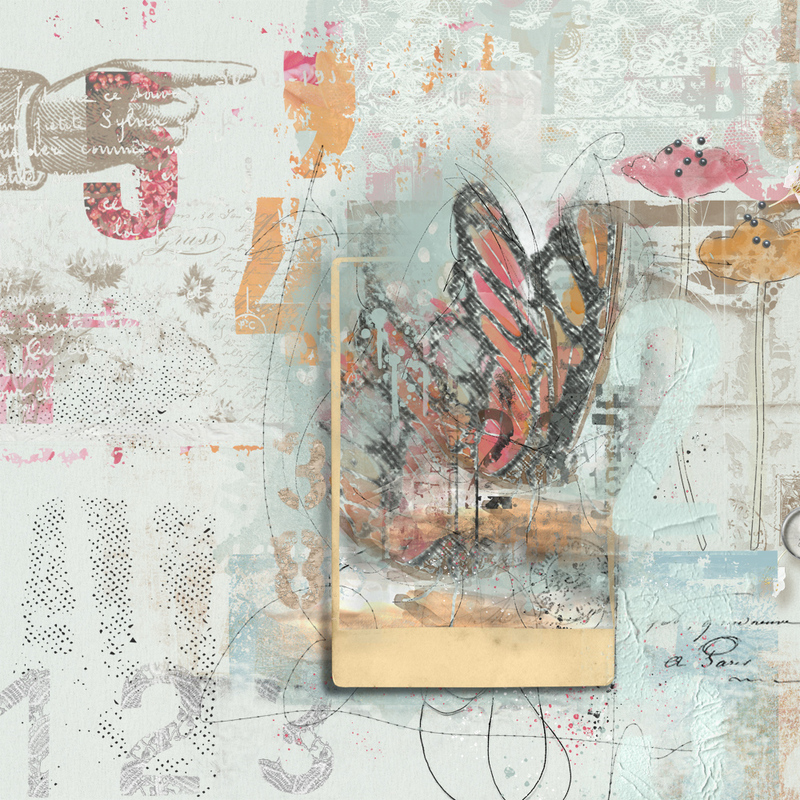 There is a wonderful new collection entitled “Counting” It is jam packed with overlays, brushes, stamps, Out of the Box frames, watercolor transfers and so much more. Here are two of the layouts I did. The first one I combined an Out of the Box frame and a water color transfer for a cool look. I also added number brushes for effect. 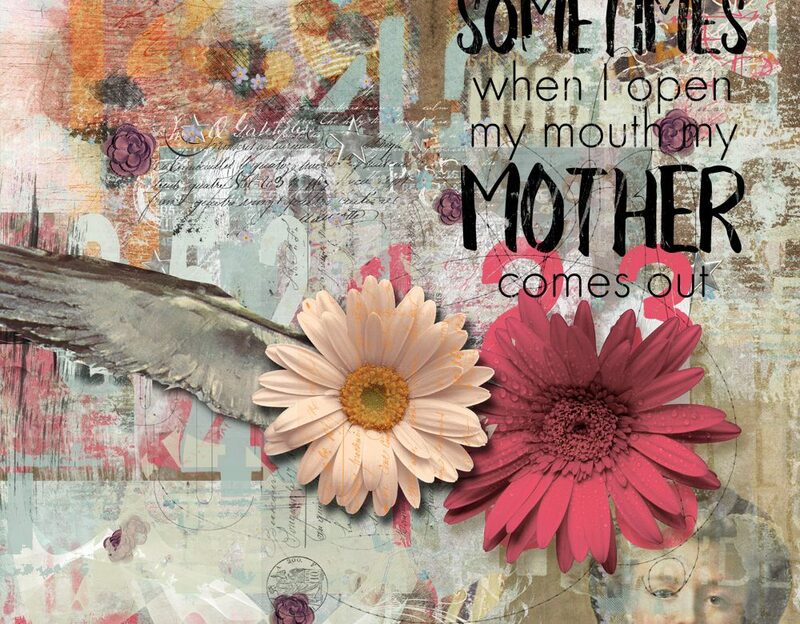 For this layout- the quote just seemed perfect! 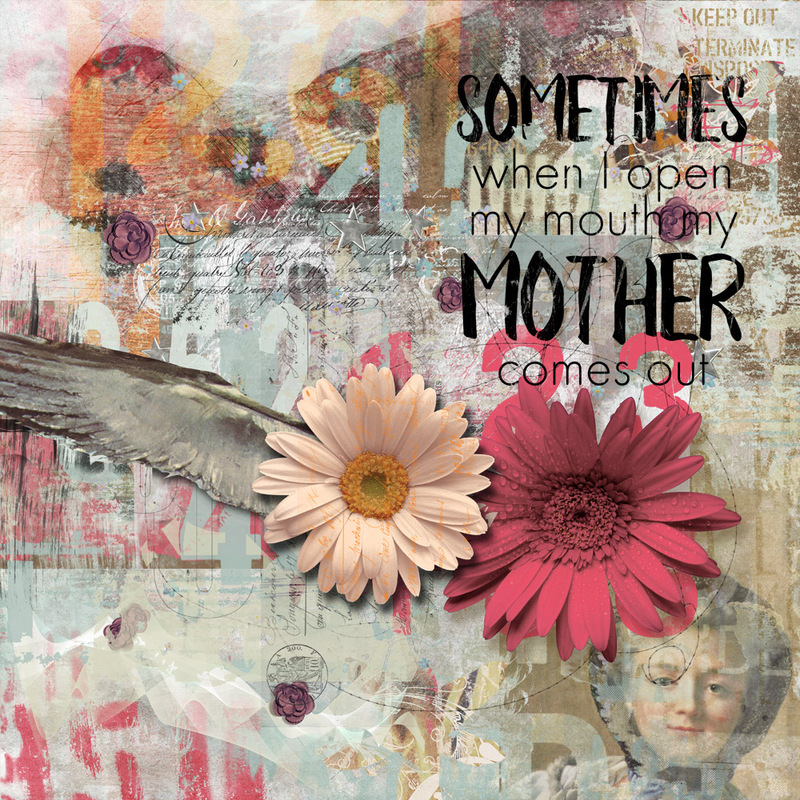 I love how the artsy bits a pieces are texture by adding flowers with a stamp. The “mom” in the corner is from the kit. It fit perfect with my quote I thought!